The sinkhole ride is modelled after an earthquake scenario and is a claustrophobics nightmare. This might just be the perfect scary ride for your halloween themed park or map. 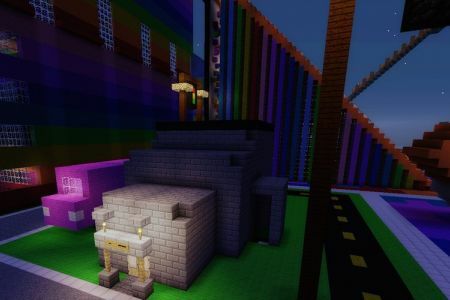 When the attraction was first imagined, I was thinking about how I could simulate an earthquake in Minecraft xbox edition. 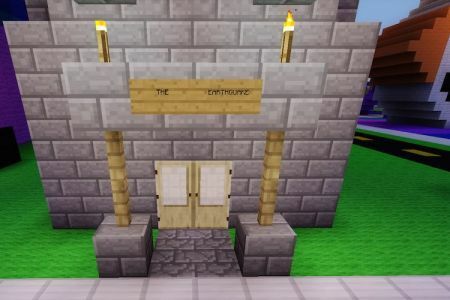 That’s how the idea of the sinkhole was born, and its pretty easy to create. You basically make a floor that opens up and swallows you into the ground, except this sinkhole closes behind you. 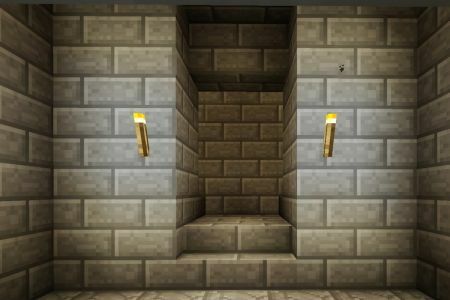 You feel like there is no way out and if you don’t add torches or lighting its even more scary. You will need to make an exit for your ride and I offer a few paths to confuse our players on the way out. 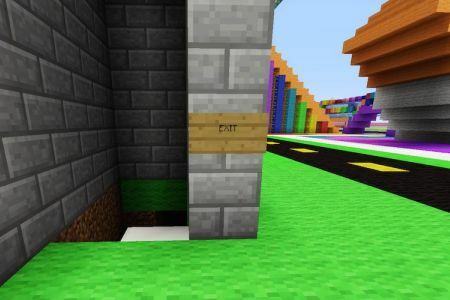 If you want to make a sinkhole you’ll need to start by creating the hole in the ground to fall into, and I recommend making the path(s) to exit right away. I added water at the bottom of my sinkhole so that players must find the path while holding their breath searching underwater. You’ll also want to add water if your playing in survival to avoid damage when falling. Your sinkhole will only be 2 blocks wide in order for it to close back up after you trigger it on fall. 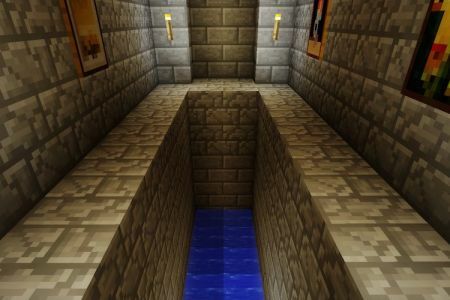 However it can be as many blocks long as you like, and will need to be at least 5 blocks deep to have a underwater exit and at least 1 block between the floor and water. I recommend making it deeper, like at least 6 blocks. 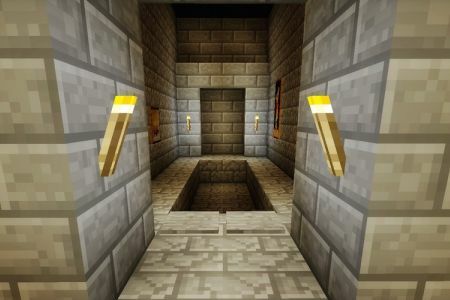 When you’ve built the sinkhole and exit, you’ll want to add the floor mechanism to make it fully functional. You can see that I have 2 plates that players step on which trigger the ground to open up and fall into and then close back up after. 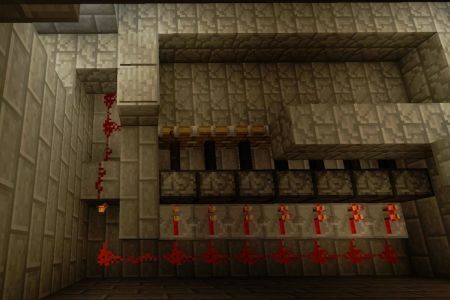 To create this you will need sticky pistons, redstone, redstone torches, pressure plates, and redstone repeaters. Check out our wiring in the photo to help you create the mechanism. Once you’ve got the floor built in you’ll want to build up the walls around. I made mine an open room but that is entirely up to you. 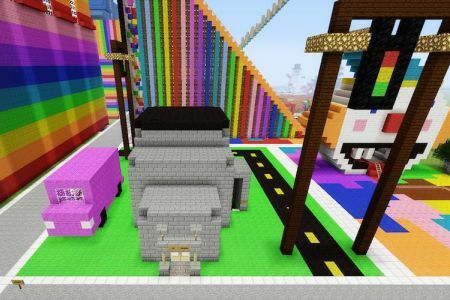 However I do recommend making the path to the trigger only 2 blocks wide so your player is forced to trigger the ride and fall. That’s the whole point, after all.